Created by a millennial from Massachusetts, the crowdfunding site proves the generation has chutzpah. Bec Gronski turned to GoFundMe this year to finance a trip to Australia. She got $1,200 and an earful. If you’re looking for a Rorschach test to reveal how you view the millennial generation, check out the crowdfunding site GoFundMe — or, more specifically, the appeal it featured earlier this year from Bec Gronski of Wolfeboro, New Hampshire. 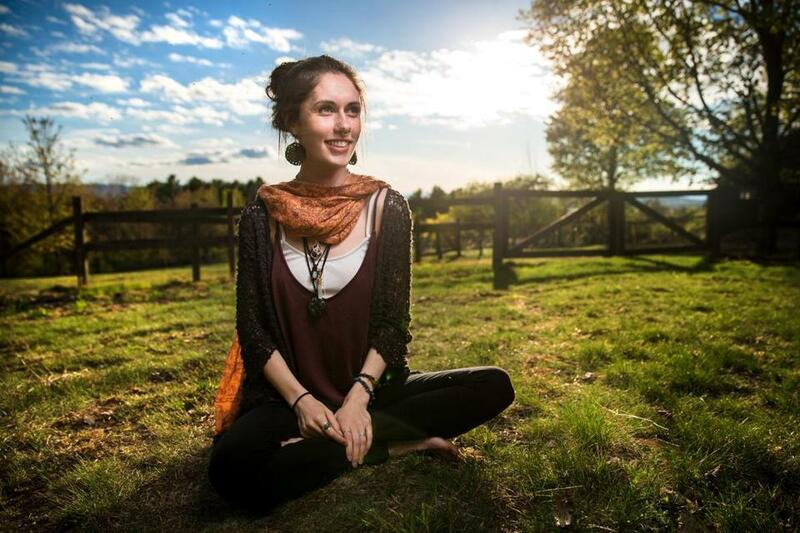 Describing herself as “a spiritual teacher, life coach, reiki and crystal healer, artist, YouTuber, traveler and writer,” the 25-year-old Gronski solicited donations to support her dream of traveling the world and sharing her healing gifts. Her fund-raising goal? $10,000. GoFundMe, launched in 2010 by Massachusetts native and Emerson College graduate Brad Damphousse, managed to outpace its online crowdfunding rivals in part by being less restrictive. While CrowdRise is geared toward charitable causes and Kickstarter is meant for creative projects, GoFundMe lets people go online and solicit dough from the public for just about anything, from covering family medical bills for an infant with cancer to financing a globe-trotting trip like Bec Gronski’s. And while the artists who launch Kickstarter campaigns do not get to keep a single donation if they fail to reach their overall goal, GoFundMe lets people hang on to every dollar they raise — minus, of course, the 8 percent the site collects in fees and processing costs. The formula has been ridiculously successful. To date, GoFundMe campaigns have raised more than $3 billion, drawing on the generosity of more than 25 million donors, who skew young. 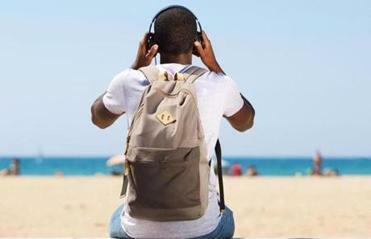 A study released last year by the Pew Research Center found that 30 percent of Americans aged 18 to 29 had contributed to a crowdfunding website while only 8 percent of those 65 and older had. Two years ago, Damphousse and his cofounder sold controlling interest in GoFundMe, by then already valued at more than $600 million. In January, the company bought out rival CrowdRise, which had been cofounded by actor Edward Norton. At 35, Damphousse is part of the oldest cohort of the millennial generation, whose overall membership now ranges in age from about 20 to 36 (though definitions differ). And the site he created embodies most of the attributes that make millennials stand out: their community-mindedness, their ability to harness technology for good, their preference for experiences over possessions, and the fact that they don’t just have chutzpah, but chutzpah on stilts. Yet in the myriad fund-raising campaigns launched by young people on GoFundMe, older generations can find evidence of just about every millennial excess that drives them batty: their impatience, their self-involvement, and their stunning lack of self-awareness, which, of course, also prevents them from recognizing their own impatience and self-involvement. BEC GRONSKI DIDN’T THINK MUCH ABOUT IT before she posted her GoFundMe appeal in the middle of February. And for a while after it went live, neither did many other people. Born and raised in New Hampshire, Gronski had lived in Australia for one life-changing year. By February, after she’d been back home for about four months, she was feeling desperate to go down under again — seeing it as an eventual launchpad for more travel. She was also broke. Living with a friend in New Hampshire, Gronski couldn’t stop dreaming about getting back to Australia when, in reality, she couldn’t afford groceries. She was doing a mix of reiki healing, tarot readings, selling clothing and jewelry she had designed, and assisting another energy healer in town with social media. But business was slow across the board. That’s what led her to GoFundMe. 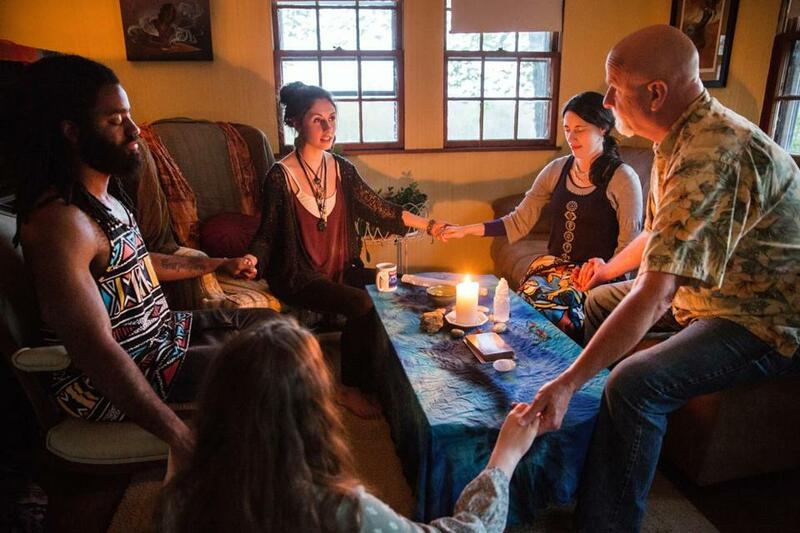 Gronski hosts a meditation gathering in Wolfeboro, New Hampshire. Energy healing is one of her passions, though she hasn’t made a lot from it yet. Gronski is an active poster of those types of chatty videos that start with “Hey, guys” and are all over YouTube. (She says that in the last couple of years she’s made a total of about $80 in ad revenue from her YouTube channel, Soul Journey.) But when she created her GoFundMe page, she hadn’t yet recorded an accompanying video explaining the rationale behind her dream-travel appeal. She figured she would get around to that. One week after Gronski had posted her appeal, a reporter for the British news website the Independent stumbled onto her GoFundMe page and wrote about it. When that piece went viral, it unleashed a torrent of reaction, most of it negative. This brings us to one of the most interesting dimensions to the contempt that certain GoFundMe campaigns trigger. When the comments feature is turned off, people have to make a minimum donation for the privilege of posting biting reactions on a GoFundMe page. She started getting messages from her friends in Australia, letting her know she had made the news there. Hill didn’t expect to get much traction from his GoFundMe parody. But he ended up attracting lots of Internet applause, and he even made a cool $350. “It’s probably the most impactful five minutes of work I’ve ever done,” he quips. This puzzles Gronski even more. “That guy makes more than three hundred bucks,” she says, “but somehow I’m the terrible person?” Then again, her final haul of more than $1,200 was 3½ times the size of his. Besides, she picked up a couple hundred new followers on YouTube and Instagram, as well as plenty of free material she will be able to work into the classes she plans to teach on self-love. THERE ARE PLENTY OF GoFundMe campaigns that are not the least bit controversial. An appeal to rebuild the home of an Oklahoma tornado victim raised more than $73,000. A campaign inspired by a 5-year-old girl to fund research into a rapidly degenerative disease often described as childhood Alzheimer’s ended up raising more than $2 million. The GoFundMe appeal that sticks with me the most appeared in 2013, after the heartwarming story of Glen James (the “Boston Homeless Man”) went viral. Quick refresher: James was the fiftysomething man who, while walking around a Dorchester shopping plaza, found a backpack containing $42,000 in cash and travelers checks. Even though he had no money and was spending nights in a shelter, James acted with textbook morality, doing the right thing when no one else was looking. He turned it in to police. Alas, the owner of the backpack, a foreign student, responded less admirably by failing to offer James any kind of reward. Nonetheless, the wisdom of the crowd stepped in to make things right. Putting in motion this communal karma was a millennial by the name of Ethan Whittington. After Whittington, a marketing professional from Richmond, Virginia, read about James, he set up a campaign on GoFundMe, a site he had learned of just a few weeks earlier. The selling point for him was that it promised to make crowd-giving easy, safe, and secure. Still, Whittington, who is now 31, felt blindsided by certain aspects of his GoFundMe experience. Some posters just couldn’t believe that he’d simply been motivated to do a good thing for a stranger who had done a good thing for another stranger. They accused Whittington of somehow trying to profit off the campaign. With online appeals, he learned, a least a little hate is unavoidable. In the end, Whittington was immensely proud that the appeal raised more than $160,000. He worked with people in Boston to set up a trust fund for James, so the homeless man could handle his windfall prudently. Whittington says he remained in touch for a little while with James’s sister but hasn’t heard from her in some time. “I hope Glen’s doing well,” he says. If seeing his GoFundMe campaign catch fire and greatly benefit a man in need was the biggest surprise for Whittington, the next biggest came when he heard from the Internal Revenue Service. “I got a letter from the IRS saying I owed them more than $50,000,” he recalls. Until that resolution, though, an aphorism that his mother had often cited was ringing in his ear: No good deed goes unpunished. DRAWING CONCLUSIONS ABOUT entire generations is always a dangerous exercise. One of the biggest mistakes people make, says Amy Lynch, a speaker and consultant who specializes in generational issues, is that they fail to distinguish generation from life stage. For instance, boomers and Gen Xers tended to be idealistic and impatient when they were 22, just as 22-year-old millennials are today. The trick is to examine whether there are dimensions that make today’s 22-year-olds genuinely different from their counterparts in previous generations. Although Lynch is a boomer, her experience raising two millennial children, who are now 28 and 30, helped make her much more aware of her built-in generational bias. While she might once have had the same boomer reaction to a millennial soliciting money for a dream trip on GoFundMe — “Get a job and pay your own way!” — she now views it differently. With stagnant wages, rising health care costs, and crippling college debt, she says, “the old paths to opportunity are at least frayed and, in many cases, failing.” In light of that, a millennial might rationally conclude that, even if she works for a year in a low-paying service job, she’ll never make enough to fund that dream trip. So why not look for a shortcut? But when I suggest to Lynch that there’s at least one important generational difference between twentysomethings today and in the past, she doesn’t push back. The reality is, technology has trained millennials to be more impatient. When you come of age at the dawn of Amazon Prime, when it’s possible to get pretty much anything in the world delivered to your door within 48 hours, that can’t help but erode your capacity for waiting. As a Gen Xer, I grew up in a time when my classmates, if they wanted to go on that special marching band or cheerleading trip to Florida, had to endure a month of Saturdays canvassing the neighborhood or setting up a table outside the Stop & Shop. Millennials learned to skip the exhausting shoe-leather work by doing their canvassing and collecting online. And this much I’m sure of: Generation Z (which my three daughters belong to) will eventually devise a new approach that will make GoFundMe feel as dated as a dial-up modem.